Bryopsis is a green nuisance algae which looks like a small fern. 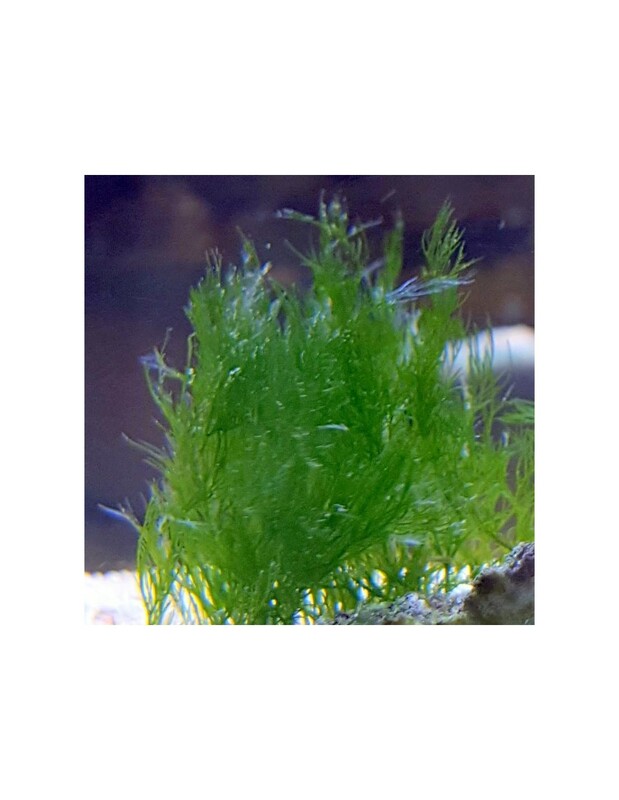 It is often mistaken as green hair algae, but as you can see on the picture at ithe closeup it is easy to identify. It comes often with liverock and can spread quite quickly in the marine aquarium. 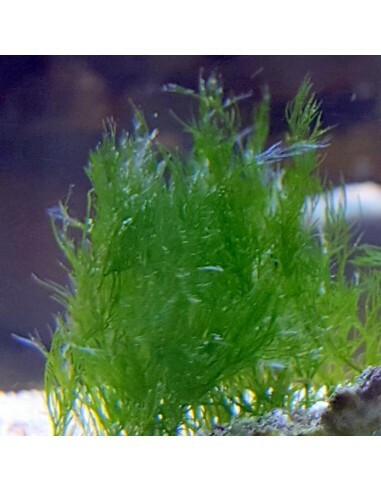 This nuisance algae is hard to get rid of, and it might spread fast in your tank. It appears that a higher magnesium level can stop this alga from growth, but might be harmful to invertebrates. We recommend to take out the piece of rock when possible and to get manually as much of it as possible. When you need to add the piece of rock back into your tank, it would be helpful to leave it for a few days without any light ( maybe placing it upside down ) to increase the chance of killing it off.